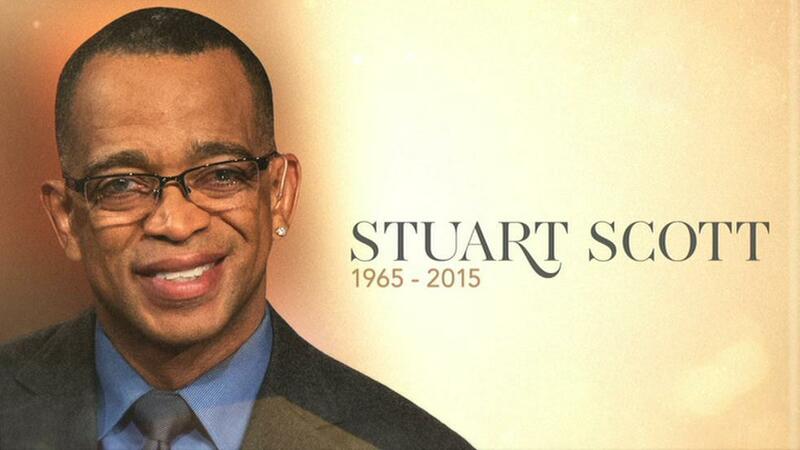 …I don’t know anybody that does know Stuart Scott, and so I can’t say anything about him with absolute certainty. I do know that he was well liked and loved by many. By all accounts I’d be pretty certain we could have hung out and become friends. I’m confident we’d engage in good conversation and enjoy a cup of coffee together. He seemed likeable. He seemed decent. He obviously had a tremendous amount of love for his family. I’m not a huge sports fan, but the times that I saw Stuart Scott on ESPN I thought he was incredibly talented and was on some very funny commercials. So for the most part I’d say I really liked him. Today I’m still 49 years old and on Sunday Stuart Scott’s life ended at 49 years of age. I’m not sure why his life ended and mine continues, but that’s just the way it is. God is in control, and it is His decision who lives and who dies. He’s sovereign over all of it. This article is not about Stuart Scott. It’s about you. It’s also about me. And most importantly it’s about the God that gives us life, and takes away life. If you or I don’t recognize that truth…that reality, then this article really needs to be considered long and hard. It takes hard work to really think about things like this, because…well honestly, because it’s just plain hard. I hate thinking about death. I hate watching shows where people die, especially the young or especially those that seem “good”. I really wish it wasn’t that way, but it is. It is because man wanted to have his own way. Ultimately a man, Adam, chose his own way. Not God’s way. So we are left with that life taking cancer, if you will. It has us all infected, infected to the point of death. There was a warning that came along with the command. Don’t eat from this one tree, and if you do, you WILL die. And now we see that clearly in the death of what seemed like a really nice man. Every one of us will die once. That speaks of our life here on earth. Our physical bodies… they will die. There is no doubt. And we see the reality of what happens next. The judgment. This means we will face judgment after our death. It’s easy to understand isn’t it? But do you, or do I, really understand that? Please allow that sink in for just a moment. We will stand before the Creator and be judged. He knows every thought we’ve ever had. He knows every deed we’ve ever done. He sees it all. Nothing is hidden from His sight. That time when you were so angry with, you fill in the blank, that you just wanted to smack them… did you know that is the same as murder? Every time you looked upon another human with sexual desire, other than your spouse that is the same as adultery? Every lie you ever told has been recorded in the book and every disobedient act against your parents. Did you know that you’ve committed treason against the One that made you? Treason is a crime punishable by death. It really sounds grim. It sounds hopeless. Did you know there is a way out of the bottomless pit you are now in? His name is Jesus. He died on a cross nearly 2000 years ago, and if you turn to Him, cast off your sins and repent of them, then place all your hope and trust in Him, you will be saved. You will be saved from God’s wrath and indignation toward those that are at enmity with Him. There is still hope for you, if you are reading this. There is still hope for me as I write. I can’t save myself anymore than Stuart Scott could heal himself of cancer. That’s why we need Jesus. He came to this earth and healed to prove His divinity. He lived, He suffered, He died, and He rose again to conquer death. That is the good news. That is the best news I’ve ever heard. Will you reject His sacrifice today, or will you submit to His Lordship. You will give account. He said these words that we could understand His grace and His mercy. He will give you rest, if you are tired of fighting against the deaths of this world. He gives life, and He gives it richly to those that place their hope in Him. I hope Stuart Scott knew this.